Let's be honest: badge holders can be boring. It's not their fault! There just aren't many ways to get creative with a badge holder. Sure, you can add your logo for a cool, custom-branded solution. Maybe you can choose a shielded holder or an arm band holder to be different. Other than that, badge holders kind of just go with the flow, doing their job without much fanfare. There's nothing wrong with that! Badge holders may be a "no-frills" solution, but they're reliable, easy to use and affordable. 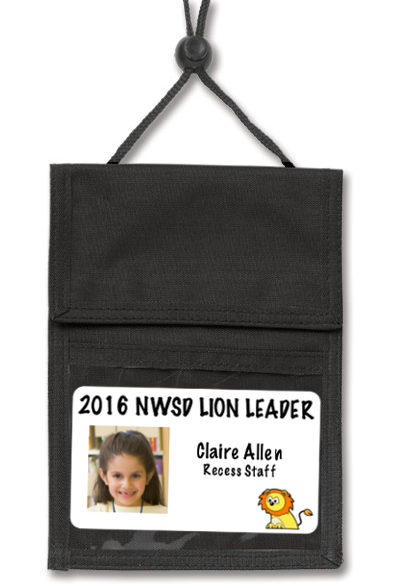 However, we recently discovered that a school in the Pacific Northwest is using our badge holders (specifically our credential wallets) in a creative, kid-friendly way that promotes learning, responsibility and a supportive school atmosphere. All of that...from a credential wallet?! What are Lion Leaders, and how do our badge holders help? 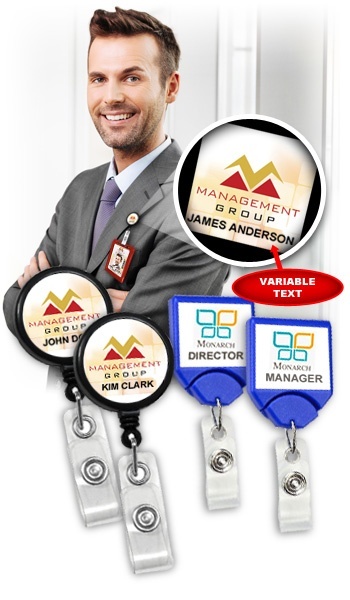 Custom retractable badge reels are a popular ID card accessory. They're easy to use, feature custom graphics for brand enhancement and are able to carry multiple cards or keys at a time. Plus, if we're being honest, they're kind of cool. Who hasn't had a badge reel and spent some time pulling the cord all the way out to watch it flail around? Custom badge reels are used in a variety of circumstances, like holding employee badges at offices or as giveaway items at marketing or promotional events. On the surface, custom badge reels are pretty straightforward: take a badge reel, add your logo and POW! Custom badge reel. However, we found a way to make custom badge reels even more "custom": by allowing the addition of different lines of text on each reel!